Give us a call today about your project. We offer many services beyond what’s listed here. At New Image, we not only offer new full frame windows (including jambs and sill), we also offer custom built wood and vinyl replacement windows. While we work with a wide variety of manufacturers we like to offer the highly efficient Richlin brand window. In addition to being an incredibily efficient, the Richlin brand offers one of the best warranty’s in the industry, all at an affordable price! Richlin has been making quality windows locally since 1951! We offer free screen replacement, free glass breakage replacement and a lifetime 100% transferable warranty! All our windows offer a variety of features to provide the greatest thermal efficiency. 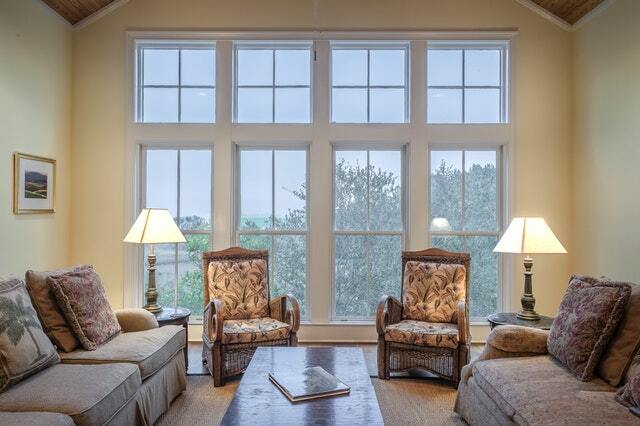 Each operating window has multiple seals at all locations which make them weather resistant. 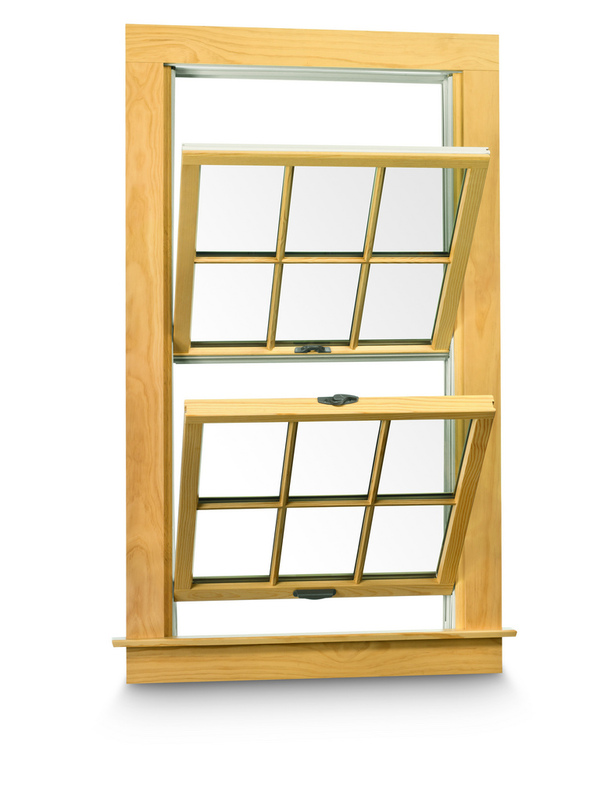 Each comes standard with 1″ glass in the sash, and smaller, more abundant internal air chambers that provide better insulation. Whether it is 20 degrees below or 110 in the shade, you can bring year-round comfort to your home with LowE3 glass. In winter, LowE3 reflects back into the room. In summer, it rejects the sun’s heat and damaging solar rays. Combined with Duralite ™, the warmest edge insulatng glass system currently available, this breakthrough technology greatly improves thermal performance of windows and their ability to resist moisture. 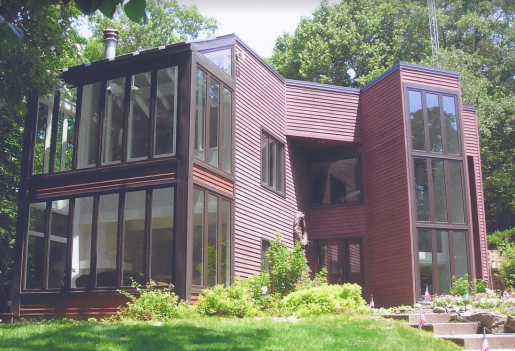 Additionally, all our windows are manufactured with Argon-filled glass providing some of the lowest U values available that easily exceed Energy Star’s strict efficiency standards. Take a moment to browse the many features our windows offer – then contact us for a free estimate and in-home energy audit. We are sure you will appreciate our expert craftsmanship and our commitment to your satisfaction. New Home At The Same Address! Your house will look new again when you freshen it up with a new coat of vinyl siding, the preferred choice among today’s homeowner for refurbishing your home’s exterior. 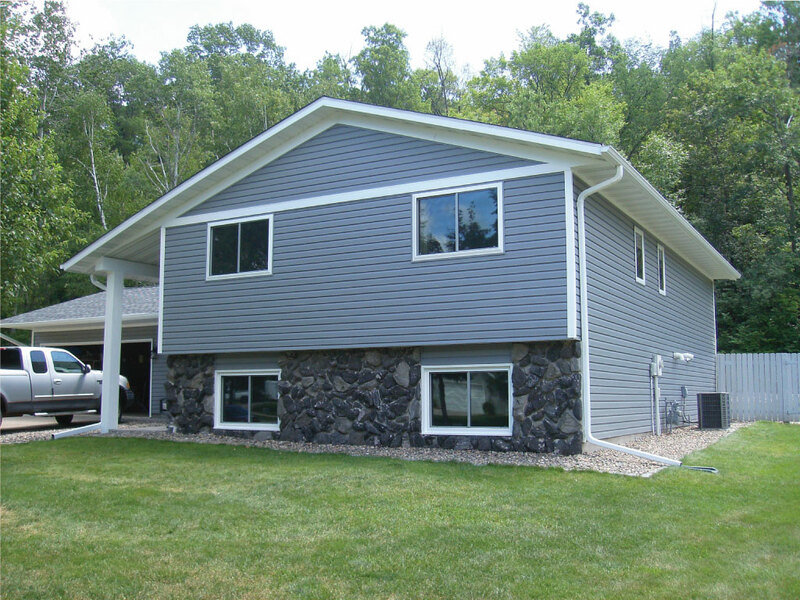 New Image Siding & Windows can help you with all of your home siding needs. 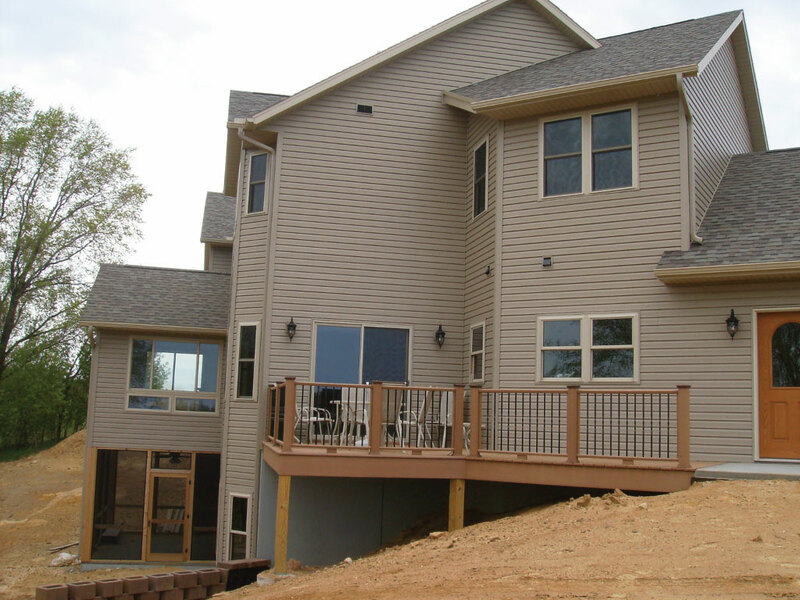 We install, in addition to vinyl, all types of siding products including wood, steel and LP Smartside. Vinyl siding has come a long way in appearance and performance in the last few years! Gone are yesterday’s less-than-successful attempts at imitating the look of wood. Today’s vinyl siding manufacturers have expertly crafted products that give the warm and genuine appearance of wood from all vantage points. And, with superior attention given to every product detail, you will be delighted with the maintenance free properties of your new siding when all that is required for cleaning is an everyday garden hose! 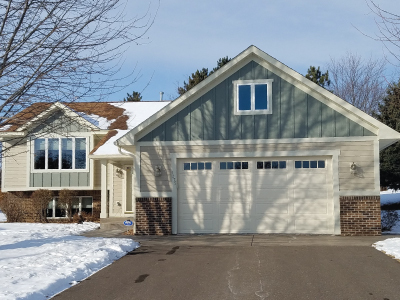 New siding will give your home an attractive new appearance with none of the costly and time-consuming yearly maintenance that goes hand-in-hand with traditionally painted homes. And, you will be delighted with the wide range of colors and styles available and our ability to find just the right siding for your budget. 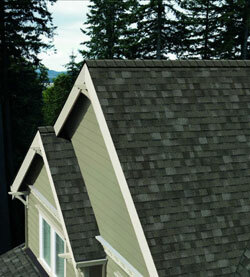 Please contact us for a Free thorough demonstration of all our home siding products. 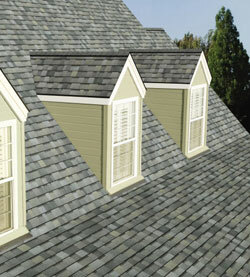 Your new roof should protect you and your family from the elements. It must deliver the performance that creates peace of mind. Its exceptional beauty can also transform the look of your entire home. So for years to come, you can feel great every time to pull into the driveway. Safe. Protected. Home. For optimum durability, cost, and style we suggest Owens Corning asphalt shingles for many of our customers. Nearly four fifths of the homes in America have asphalt-roofing systems (www.hometips.com) because of their manageable upkeep and relatively low initial costs. 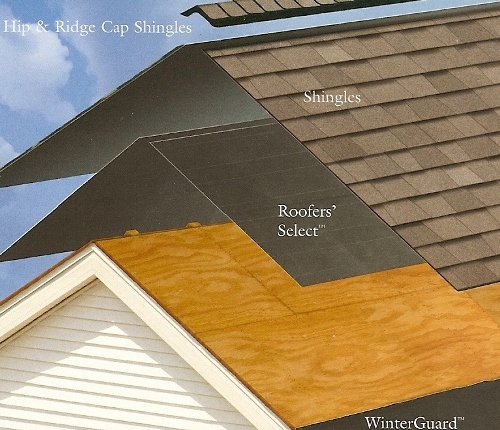 With this form of shingle, New Image includes all the aspects necessary to create and maintain a healthy new roof including specified hip and ridge shingles, ventilation products, shingles, and waterproofing underlayment. Below is a model of the basic aspects of an asphalt roof that we would apply to your home. Be confident that investing in an Owens Corning roof will give you good value for your money. Owens Corning has been a recognized leader in the building materials industry for over 65 years. Their products have made millions of homes across the country more comfortable, beautiful, and durable. And our professional, experienced installers will ensure that your home can be added to that list as well. Tru-Bond sealant grips tightly to the nailing strip on the shingle below for greater bonding strength. Duration Premium shingles with SureNail Technology are rated for 130-MPH windows, and Duration shingles with SureNail Technology are rated for up to 110-MPH winds. New Image can complete any type of renovation or remodeling inside or outside of your home. We can complete small changes to enhance your current space or carry out a full-scale remodel that looks completely different and fresh. While still conforming to your home design, needs, and appearance, New Image will construct a space that is vibrant with your expression. Your home should be effortless to live in and when it’s not, we help make that possible! We will safely remodel or renovate your living room, family room, basement, and all outside living areas with a priority on safekeeping your home and possessions. New Image can even help to make your home ADA compliant and accessible. If you need a home addition, New Image can help build the perfect new bedroom, family room, or any other space you desire to have added to your home. New Image takes the pressure from you during home addition remodels by infusing a sense of urgency with integrity. We are proud that our customers pick us. With complete confidence, we do whatever is necessary to ensure complete satisfaction with your new addition. Our company will never attempt to ‘up sell’ your project because we understand that every customer operates on a different budget. 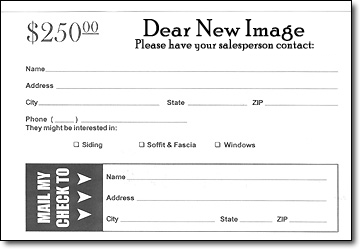 You can trust that New Image will do the best job at the lowest price possible. Give us a call to set up your free in home estimate. We’ll get your home project started today! 651-345-2542 or 715-425-9768. Windows look great. Larry was very helpful with explaining options and he came by after the install to inspect the work and answer any questions. Will use them again when I need windows installed. Great company to work with. They were flexible with pricing. The windows they put in have a life-time warranty and are top-notch. I would recommend them to anyone. I recently had new windows installed by New Image Siding and Windows. Wanted quality windows and Larry Frye gave me an estimate, he knows his product very well. I do not feel the cold anymore compared to my old windows, don’t have to climb a ladder to wash them, and well pleased with the installation by the New Image installers. I’m really pleased with the product and a job well done. I would highly recommend this company. They came when they said, they were upfront with cost, they were clean and nothing was left behind, no dirt on my new carpet! Larry always returned our calls and answered questions. The windows are top quality too! I was very happy with the process at every step. New Image was professional, thorough and straight forward in every respect. I would recommend and have recommended them to friends and relatives. Windows were installed very quickly and look very nice. Good customer service, had someone out to fix a lock very quickly. Working with New Image was impressive. Larry came to our home and demonstrated one of their windows. He was very knowledgable about the windows and answered all our questions. We were also impressed at how quick and efficient they were about the install, since our kids have allergies and can not have the windows open for very long. We would highly recommend New Image for replacement windows. What wonderful looking windows! Your crew was efficient, friendly, and cleaned up after themselves. Henry the 8th Cat even felt so unthreatened that he came out to supervise. Thank the crew for me. The style matches the rest of the windows but they are so obviously new & shiney! I am so pleased. Thank you. A RECENT EMAIL FROM A FORMER CUSTOMER WHO REFERRED HIS DAUGHTER TO NEW IMAGE TO HAVE ALL HER WINDOWS AND SIDING REPLACED: ‘My daughter’s house looks really nice. What great work, she is so happy to say the least, just like they got a new house after recently purchasing their new house. Just wanted to let you know, sometimes that’s nice to hear’. After a lot of research with multiple window companies I made a decision to have ‘New Image’ install all new windows in my home. I was extremely impressed with Larry in sales and with the installers. Very professional easy to work with and the final result….I LOVE MY NEW WINDOWS!!!! Our Minnesota cold snap I didn’t even notice, my new windows were ‘amazing’ !!! Excellent team….fun to have around! Did everything I wanted…no mess for me to pick up…used tarps on my newly cleaned carpets. The crew was awesome. They are very skilled and experienced in this type of work and know what they are doing. They are all great guys to have on the job! I would definitely recommend New Image Siding, not only for the high quality of workmanship, but also for the extreme professionalism we experienced from the owner and the crew. The owner, Larry Frye, went above and beyond while working with us. He was very conscientious about his work. The siding turned out beautifully! I would definitely hire New Image again, and would recommend New Image to anyone who is considering siding or windows! Thank you New Image!! Thank you for the fabulous job on the siding and windows – every neighbor who walks by stops to compliment it, and we point to your sign and proudly sing your praises! (The cats love hiding in the new bay window, and the dog loves spying on the neighborhood through the new patio door, so all are happy!) We will certainly be keeping you on our contacts list when we are ready/able to install the deck out front and/or other house projects! Hey Larry, we love the windows. Pretty good guy to get them out and the new ones in the way he did. My wife loves them also. Thank you again for the great service. I will pass the word to anyone I know that is in need of new windows. We’ll work with you to determine the right financing option. We understand that home improvement projects can be a big investment so we really work hard to find a financing plan that will fit your budget. We offer several types of financing plans with flexible financing terms and conditions. Be sure to ask your representative about the exclusive financing plans we offer! New Image Siding & Windows is neither a broker or a lender. Financing is provided by third party lenders unaffiliated with New Image Siding & Windows, under terms and conditions arranged directly between the customer and such lender, all subject to credit requirements and satisfactory completion of finance documents. Any finance terms are estimates only. New Image Siding & Windows does not assist with, counsel or negotiate financing, other than providing customers an introduction to lenders interested in financing New Image Siding & Windows customers. Everyone can use a little cash back! Once we have completed your remodeling project, you will have a chance to receive money back! Here’s how it works. You will receive 3 referral cards in your final paperwork and warranty package that you can give to a friend who is interested in there own home project. You fill out your name where it says “mail my check to” and then you or your friend fill out the rest of the card and mail it back to us. We’ll send a representative to explain the benefits of our products. If they decide to have New Image complete there home project you will receive a $250.00 check from us as soon as the work is completed on there home. Simple as that!